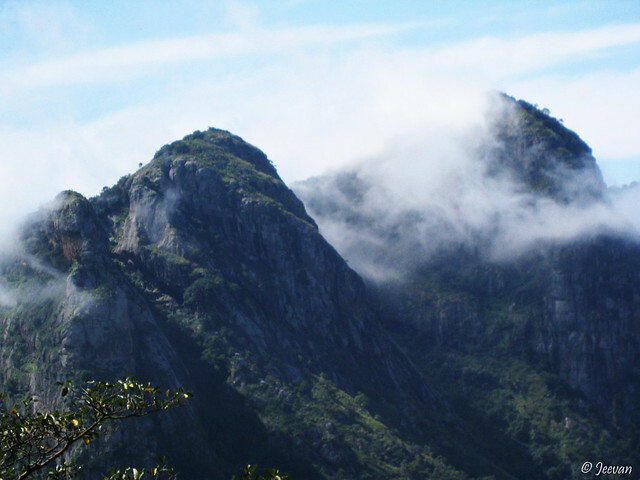 Mountains have been my favorite places of travel and I have covered almost hill-stations and mountain ranges in Tamil Nadu, but I haven’t posted anything so far about the Kolli Hills, situated about 50 km from Namakkal in south India. I had a bittersweet experience visiting this pristine and peaceful mountain range of Easter Ghats, but it wasn’t the reason for me to keep away from this destination in blog. Sheer laziness could be the ground for the delay because the album of Kolli hills were stored in DVD and I really want to revisit the place once again through blog posts and only now I got to execute the resolution. At a height of 1370 meters, Kolli Hills still (I guess) breathe fresh in absence of tourists thronging unlike other hill-station in south India. During my visit to this mountain region (in late 2010), the place was under development to gain the status of a hill-station but I think the things haven’t settled yet fully to derive many tourist. I hear there isn’t a moderate restaurant/hotel yet and accommodations other than few resorts and government cottages/hostel lack people staying over there. I read from few reviews on the place complains sanitation has been an issue still. I hope authorities take care of it in providing basic amenities to attract more tourists who could make a day trip to the mountains. 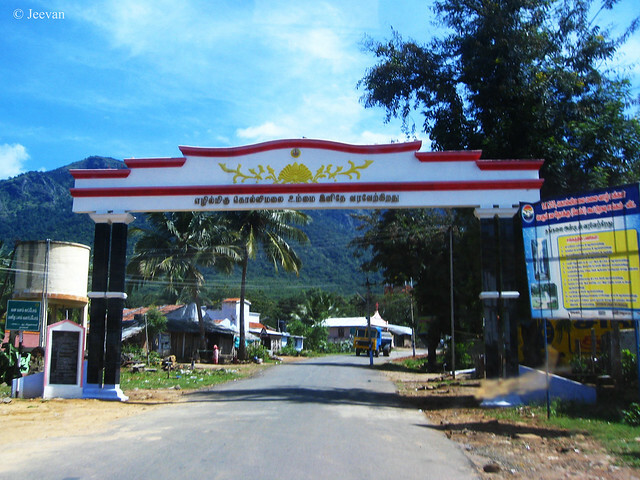 I have covered almost places in Kolli Hills, which trace back its history to Sangam period (a period in the history of ancient southern India) and are featured in several works of classical Tamil literatures such as Silappathigaram, Manimekalai, Purananuru and Ainkurnura. The region was ruled by a mountaineer and the most popular and celebrated archer and the King Valvil Ori around 200 AD. Valvil Ori is regarded as one of the greatest archers the country has ever seen and he’s said to have pierced an elephant, tiger, deer and a boar and monitor lizard in a single stroke with arrow. He’s also praised as one the seven great philanthropists of Sangam period and his valor and marksmanship are sung by several poets. 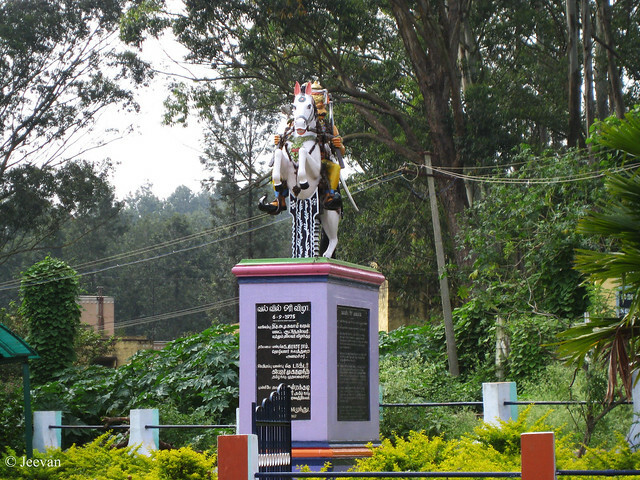 Honouring the generosity and skillfulness in archery (what Valvil means) of the King Ori, a statue of him was erected in the headquarters of the Kolli Hills, Semmedu, in year 1975. The govt. organize annual tourism festival named after him and conduct archery competitions remarking his skill in handling the bow. The district administration has built a nice park around the statue and fences for protect. The mountains of Kolli Hills are evergreen forest and being not commercialised yet, the mountains retain its nature except the plains atop that are converted into farmlands. Important farm products cultivated here are coffee, jackfruit, pineapple, black pepper and other spices. 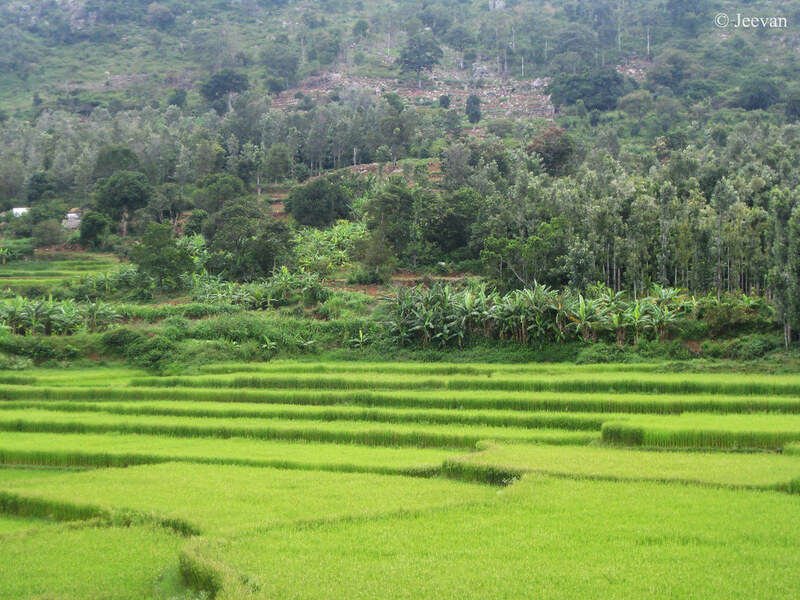 Kolli Hills are encompassed by number of tribal villages and most of them are involved in farming and rice and other minor millets form the staple food of them. The jackfruits grow on these mountains are well known for its distinct flavor and the many streams spring around make scenic waterfalls. The most famous and the most visited place by tourist, the Agaya Gangai waterfall is situated in Kolli hills. The waterfall flow from a height of 300 feet is at a depth of 1500 steps down a valley. The Arappaleeswarar temple near the fall’s entrance is a pilgrimage site and the Shiva temple here is said to have been built in 1st or 2nd century by Valvil Ori. The other places of interest in Kolli hills are Seekuparai and Selur Nadu view points and apart the Masila Falls and couple of other mini water falls, the development of botanical garden and boat house is an additional attraction to people. The Ettukkai Amman temple is another noted site in Kolli Hills, the name which derived from Kollipavai, a guardian deity of the mountains which was also called as Ettukkai Amman. Your photos are spectacular, particularly the cloud covered peaks. I would love to see the Aagaaya Gangai. Those misty mountains are extraordinary, Jeevan. You live in a beautiful place! those beautiful hills and green fields! wow! The place sounds great! I love to visit not so crowded places. I have listed this in my 'places to visit' list now! thank you, Jeevan! What a coincidence that we are both blogging about different mountains! This Kolli Hills is beautiful with a paddy field which surprised me. Am I correct to say the rice grown there tastes good and better than those grown under very hot climate? That is such a wonderful trip account of the place! Never been to the hills but I am itching to be there now - they look so pristine. Beautiful captures, I hope the authorities take good care of the place. I am glad that there are no large hotels or any famous tourist spots here. That will keep the area clean and neat, and free of destruction in the name of development. I guess there are Siddhars living in this place? Such a gorgeous place! Stunning photos. Very beautiful and scenic place. Would love to spend time here. These are all so great to see. The mountains seem magical.